Did you know that if you’ve been involved in a car accident, that there’s a $30,000 deductible for your pain and suffering claim? That means the first $30,000 of your pain and suffering award essentially vanishes. NOTE: This deductible does NOT apply to claims over $100,000. Also of note, before September 1, 2010, the $30,000 deductible was $15,000; meaning it doubled overnight. In the 1980’s, there was NO DEDUCTIBLE whatsoever. Some people call my office telling me they’ve been seriously injured in a car accident. When our law firm explains to them how the deductible works for car accident law in Ontario, you can hear their jaws drop to the floor. I mean literally, drop to the floor. Who on earth would implement a law which says that the first $30,000 of your pain and suffering claim is essentially worthless. Our government; that’s who. But who do you think suggested that our government bring in these laws. It’s sure as not your neighbour who did; because your neighbour doesn’t know and doesn’t really care about how car insurance works. The deductible was brought in at the insistence or large insurance companies who do business in Ontario. If you drive a car, take a look and see who insures you. Odds are that it’s one of State Farm, TD/Security National, Intact/Aviva, Co-Operators, Desjardins/The Personal, Wawanesa, Royal SunAlliance or Belair Direct. All of these insurers fund the Insurance Bureau of Canada. This is the insurance industry’s biggest lobbying group. Together, they influence the laws of Canada, along with the laws in each Canadian province so that they’re skewed in their favour. How do you influence law makers? There are plenty of ways. First, make a campaign contribution. Take the politicians to fancy dinners, grand soirees, hockey games and sponsor their kids’ teams. See and be seen in the right places and at the right parties. Inundate the candidates with statistics which your well paid actuaries have made sparkle in your favour. Repeat this process for EVERY major political party in Canada or Ontario Once you’ve done that, it doesn’t really matter who wins. You’ve got these politicians in your pocket. The laws will practically write themselves. Catch is, the only people who will understand those laws are the insurance companies and the lawyers. Everyone else won’t even know what hit them until the bill has already been made into a law. And that’s what happened on September 1, 2010 when your accident benefits in Ontario were reduced from $100,000 down to $3,500; and your deductible was doubled from $15,000 up to $30,000. My favourite part of the law is that if you’ve been involved in 2 separate accidents, like you get rear ended on September 1; and then you have really bad luck and get t-boned by a drunk driver on November 1 of the same year, that your case is subject to two $30,000 deductibles! That means that before your case even gets off the ground, that you’re already $60,000 in the hole based on the law of deductibles alone. Talk about hard luck. I fully expect whatever new Ontario Government is elected to legislature next will not focus as much on job creation, education and health care some much as they will focus on car insurance in Ontario. With all of the changes to the system, you would think that car insurance is the hottest button political topic in Ontario. It’s really not. It’s just the easiest to change because nobody (including the lawyers!) really gets it because they’ve made it so impossible to understand that FSCO Arbitrators and Judges find themselves making new laws every day. Speaking of Judges making news laws, anyone read the Globe & Mail article today about the Justice to the Peace in the Durham Region sending people to JAIL for speeding? The Justice of the Peace also set fines triple their usual amounts for no apparent reason for speeders, other than to send a message out to people that speeding is not acceptable. You can find a link to this great article here. It’s really worth the read. Legal Note: The Highway Traffic Act does NOT include any provisions in it allowing for a Justice of the Peace to sentence jail time. It’s like the Justice of the Peace didn’t know the law, or was willfully ignorant of it. These sentences and rulings were over turn on appeal. But, imagine the cost to tax payers having to fund the court time to hear the case to begin with, pay for legal aid if it’s a legal aid accused, and then pay for the appeal costs. Those costs would certainly mount up and can be better spent on other resources…like putting more money into our civil justice system which needs an over haul. But, that’s a topic for another day. Have any of you caught some footage from the Canada Games? Confession. When I was in high school, I thought of myself as a very good basketball player. I played every day. I worked on all of my skills. I practiced shooting. I practiced dribbling. I even lifted weights and worked on my foot work. That’s how seriously I took it. 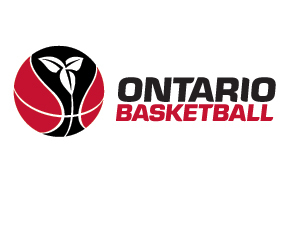 I’ve been watching the Canada Games, and watching Team Ontario Basketball. These teenagers from 15-18 are AMAZING! I can’t stress that enough. They put me to shame when I was that age, and now. I was and will be nowhere at that level of play. The speed and skill displayed by Team Ontario was astounding in their game against Nova Scotia. Even the kids from Nova Scotia had great game. In fact, two of their players were so talented and focused on basketball, that they were attending American High Schools to better their chances of playing at a higher level in the future. Follow them. Team Ontario. They’re the real deal. Who knows. You might even bump in to one of them at your local mall!